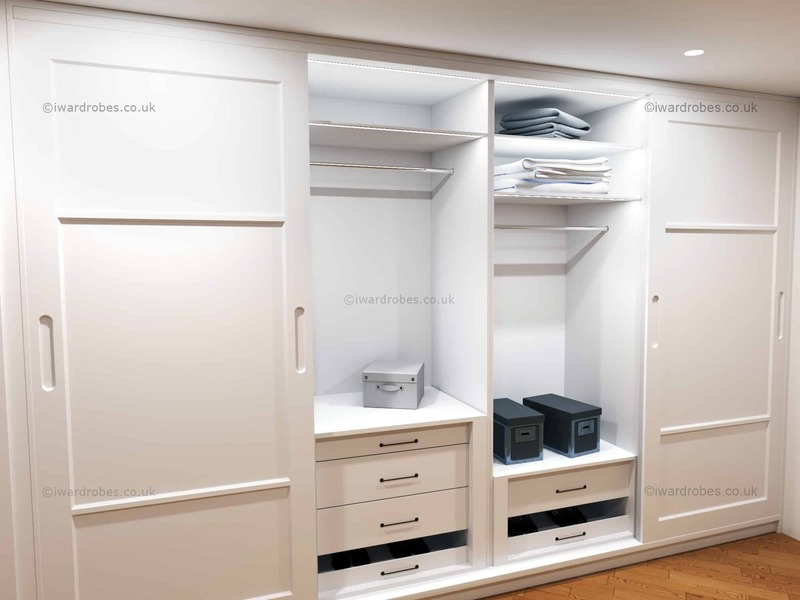 Bespoke wardrobes can be the perfect addition to your home as these are not only a storage solution to keep your clothes, shoes and accessories. 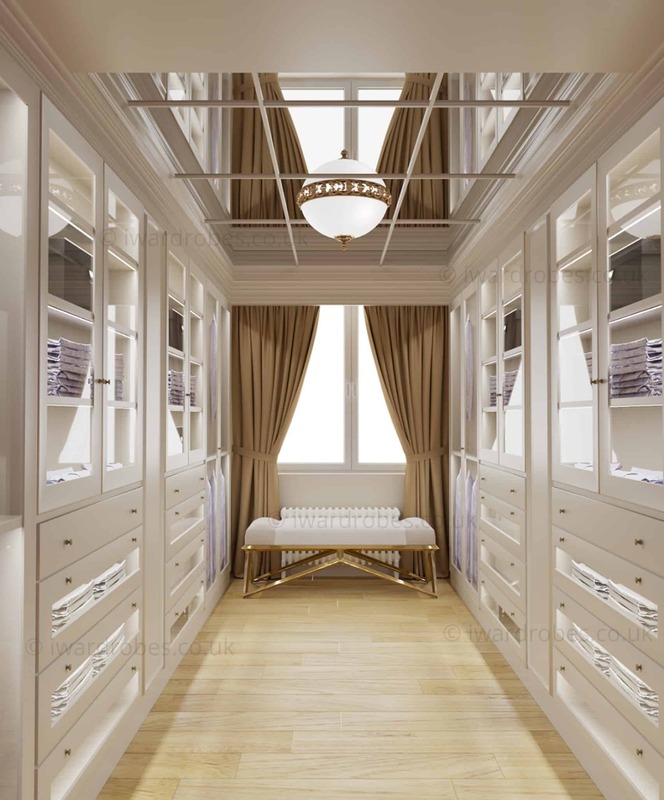 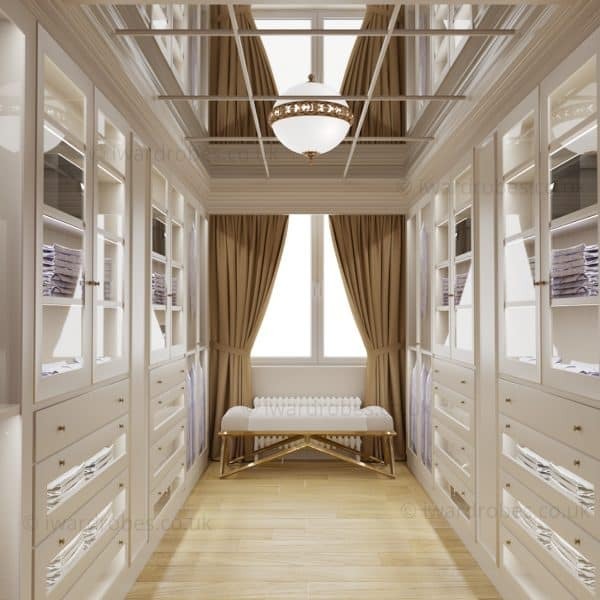 Custom made built-in closet can also be a design feature that would complement the vibe of your home. 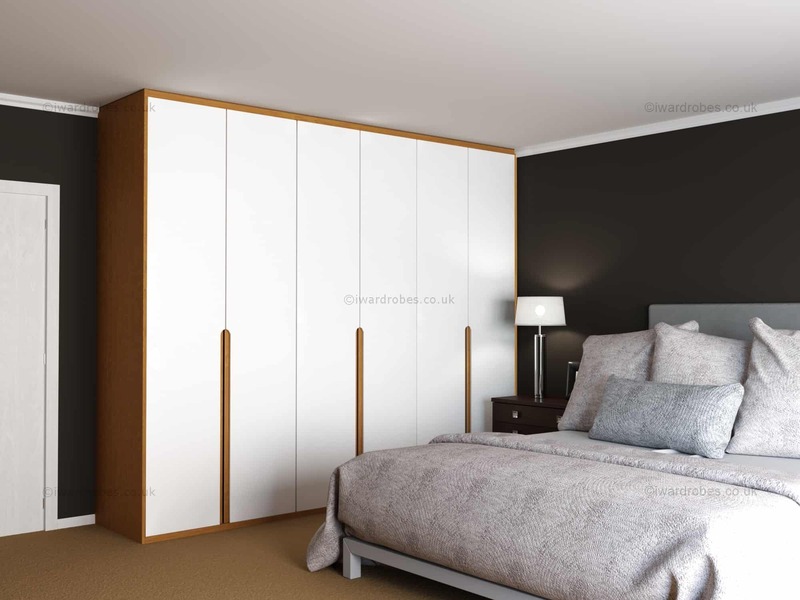 Our company offers a lot of styles, colours, sizes and types of fitted wardrobes to make sure our customers have as wide choice as possible. 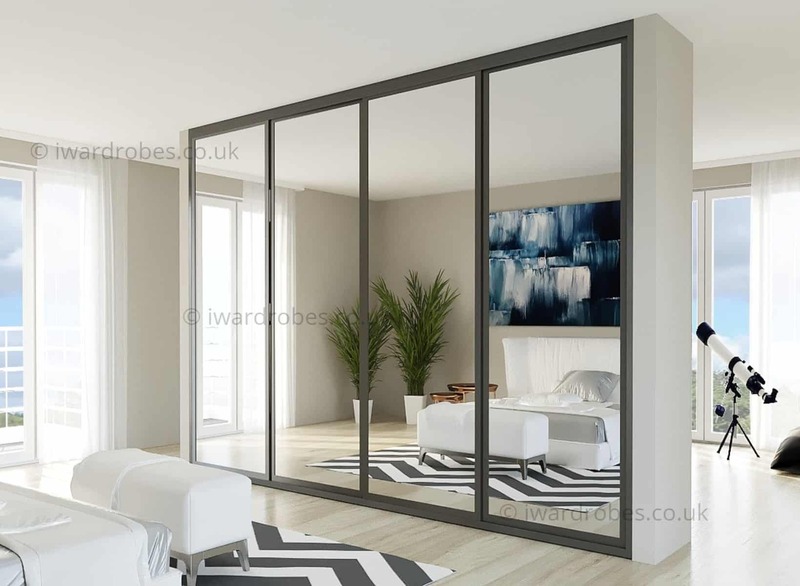 That could be a contemporary sliding door fitted wardrobe or custom-made modern hinged door wardrobe and made-to-measure traditional spray-painted closet . 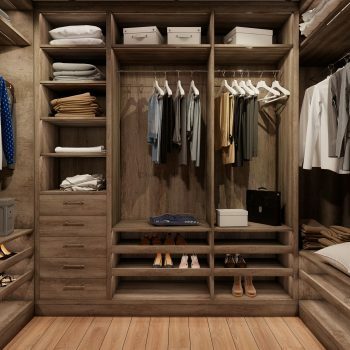 Our aim is to help you to create the storage solution that would meet your lifestyle and character. 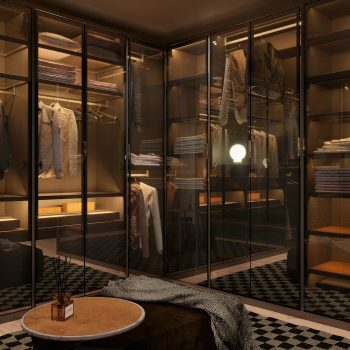 Furthermore, all our products are truly bespoke and made-to-measure and we do not store any stock. 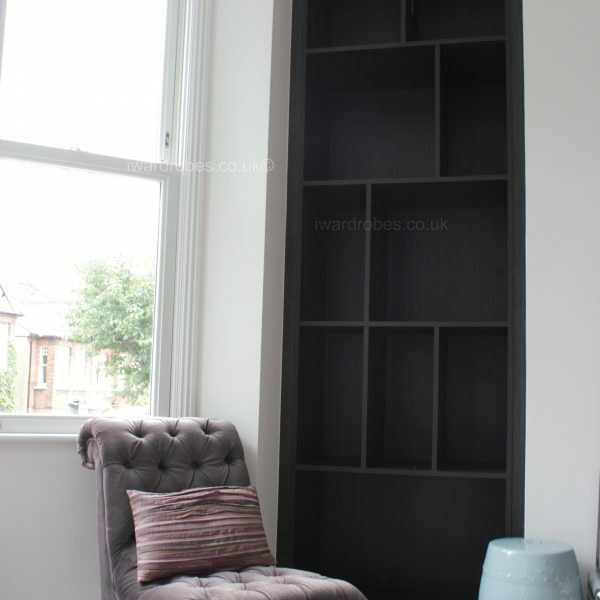 Each piece of furniture we fit has been created for the particular customer. 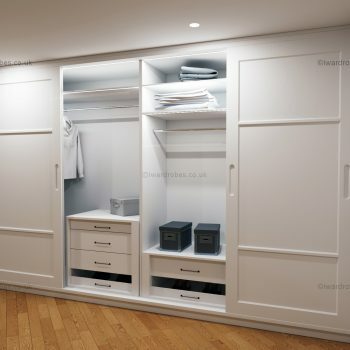 Take a look at our range of modern wardrobes and traditional closets for some inspiration and ideas. 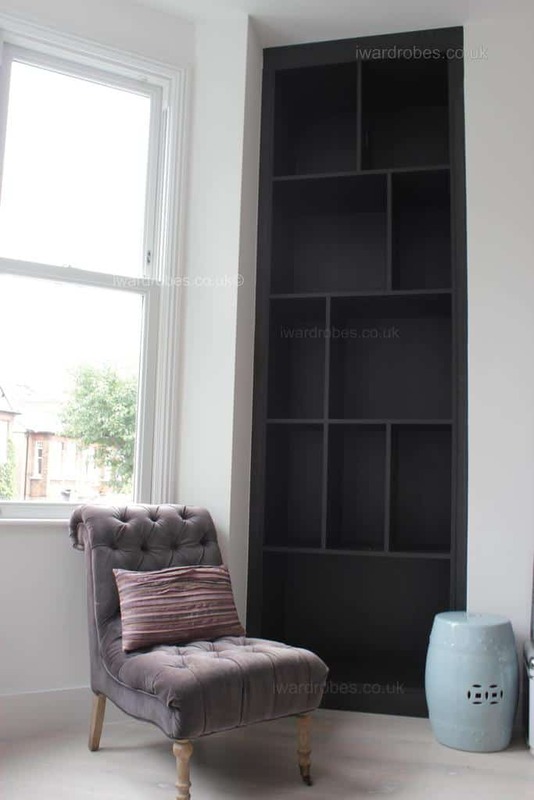 It is worth mentioning we never limit our customer with a certain range. 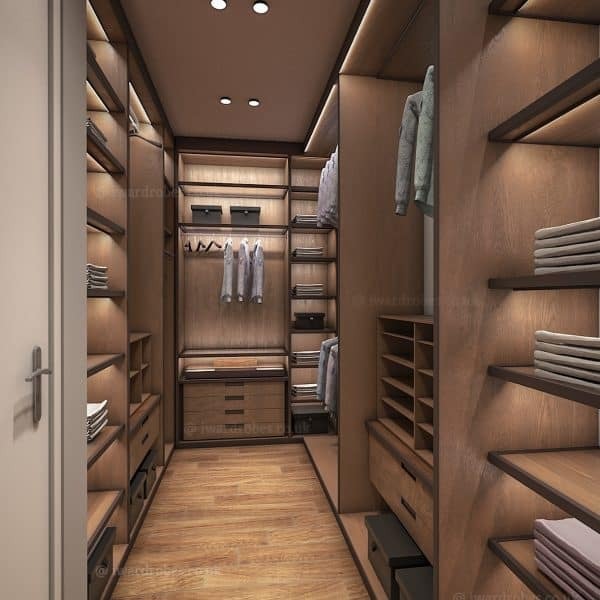 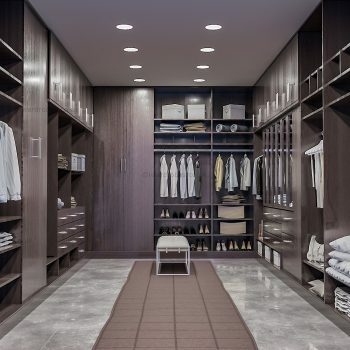 Feel free to call our experienced designers to arrange a free wardrobe design visit to discuss your preferences and ideas and to get a quick quote and preliminary design drawings. 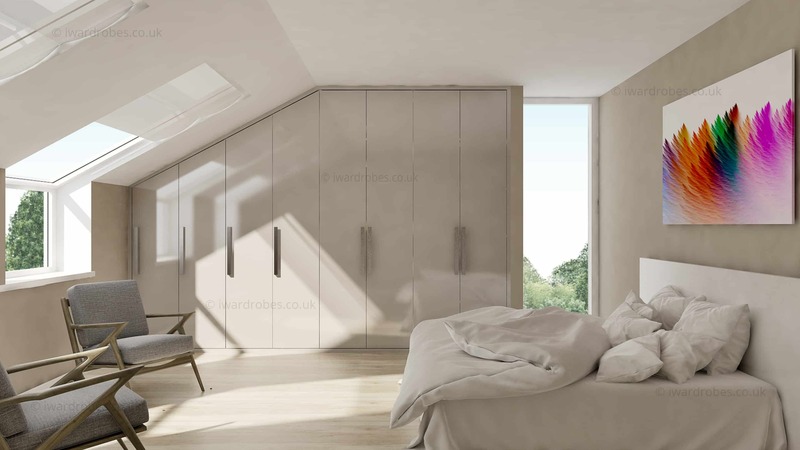 We have many years of experience in contemporary built-in wardrobes – bespoke sliderobes and modern hinged door wardrobes. It is not a secret, that sliding door ones need less space to open so it is a popular option for rooms with a limited space. 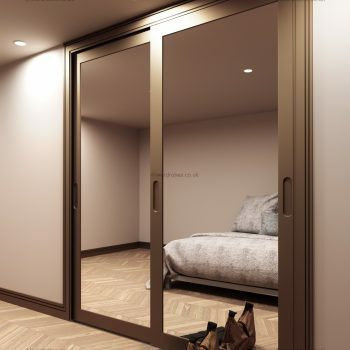 These usually are floor to ceiling and many homeowners prefer to add a mirror sliding door to visually increase the space and light. 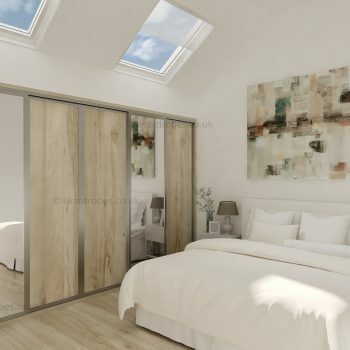 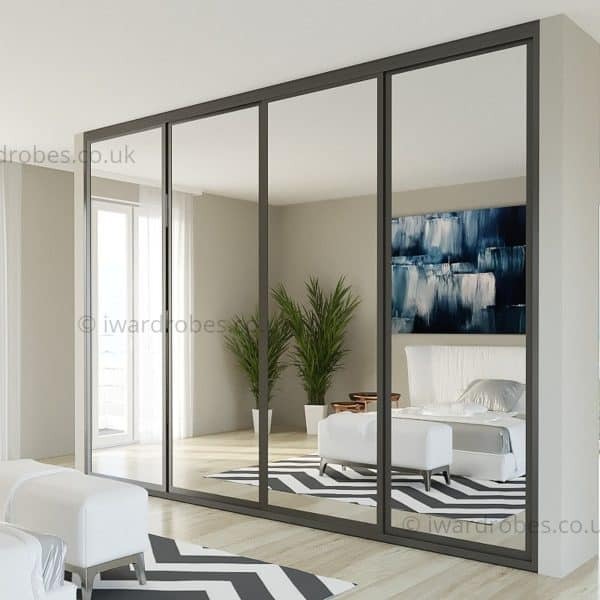 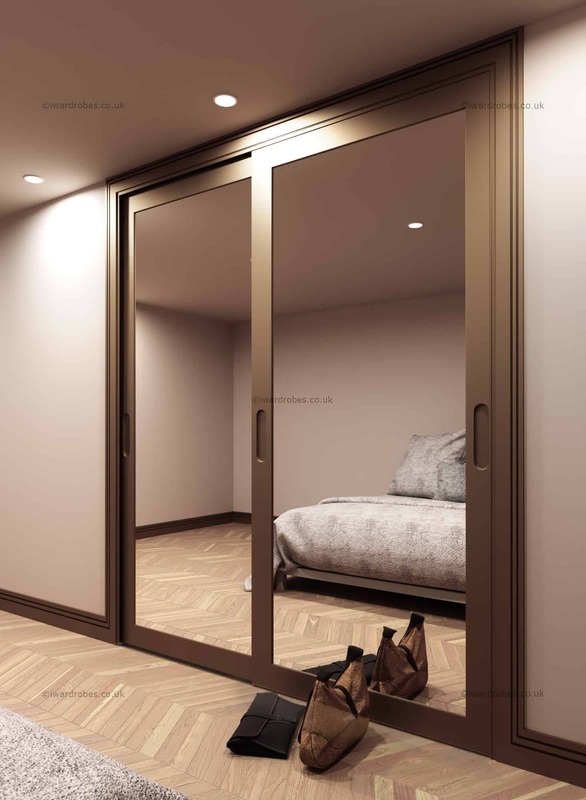 Our made to measure modern hinged door wardrobes and come in different finishes as well as designs so these could suit all tastes, ideas and lifestyle. 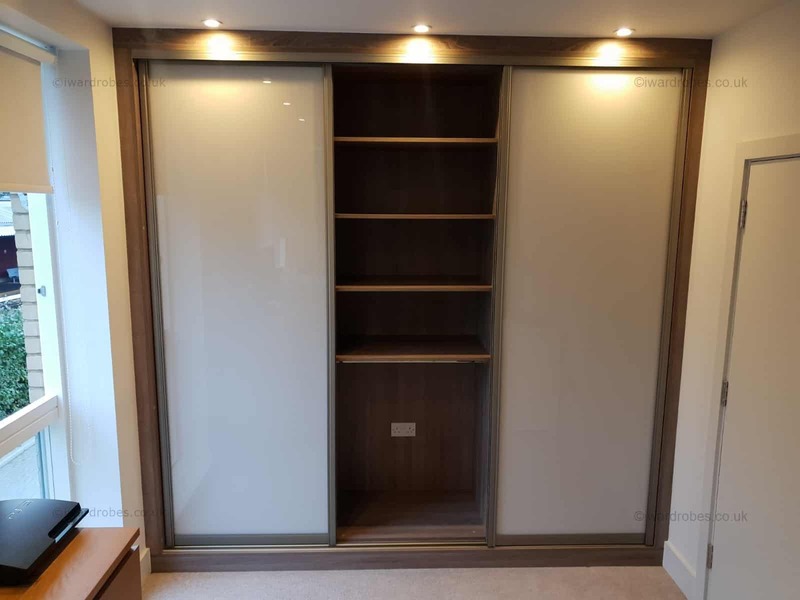 The built in wardrobes we create can have various kinds of internal fittings and so that you could find the most suitable and comfortable bespoke storage space you need. 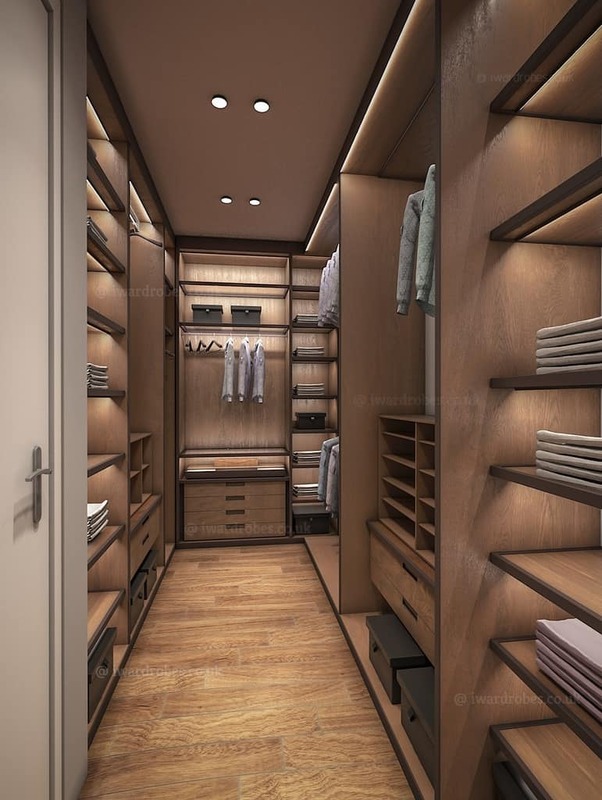 You can have a floor-to-ceiling hanging space or divide the height of the fitted wardrobe in 2 rails to store shirts, skirts, jackets etc. 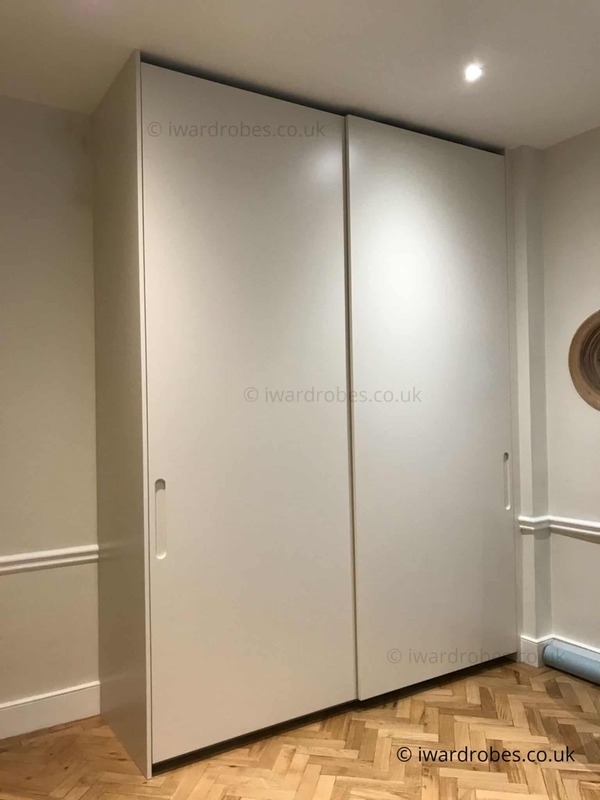 Whatever is the type of wardrobe you decide is the right choice for you, we will customise it totally as per your needs, measurements and requirements. 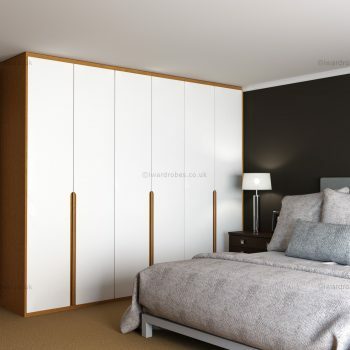 Our fitted wardrobes are always made to order and designed to fit the dimensions of your room. 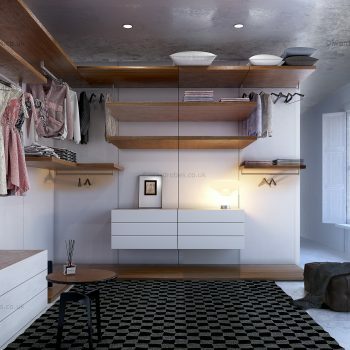 It does not matter how much unusual your space is, we will help you make the most of it. 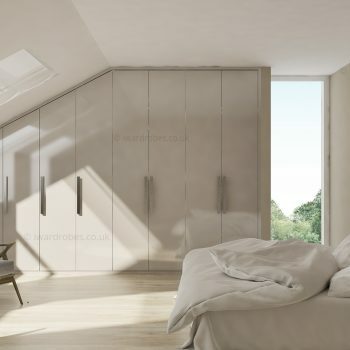 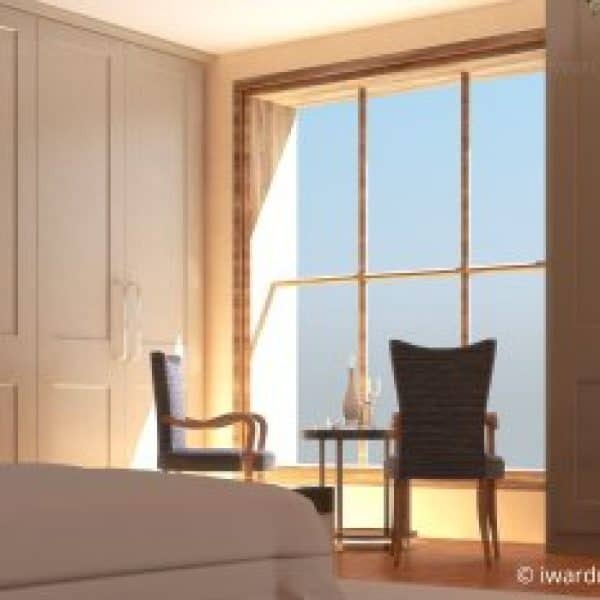 Moreover, you can choose from a number of materials such as high gloss painted wardrobes, spray painted traditional wardrobes, PVC foil MDF board wardrobes and hinged door fitted wardrobes. 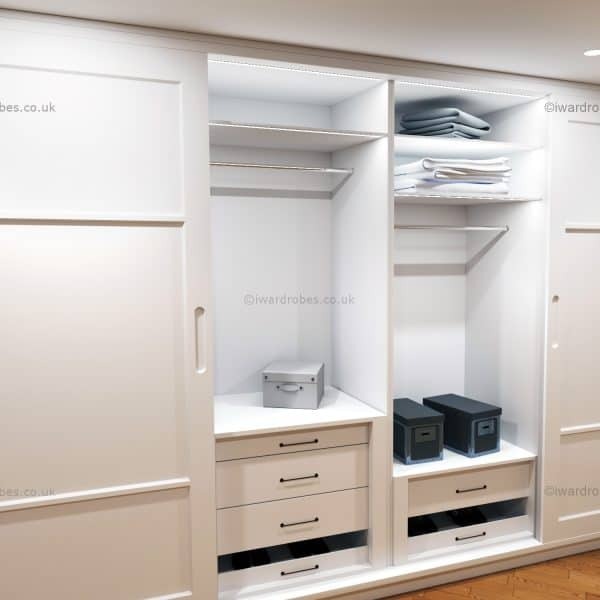 Our team will create wardrobes, which perfectly fit your room, whether it is a wide wall-to-wall fitted wardrobe or an unstandardised shape. 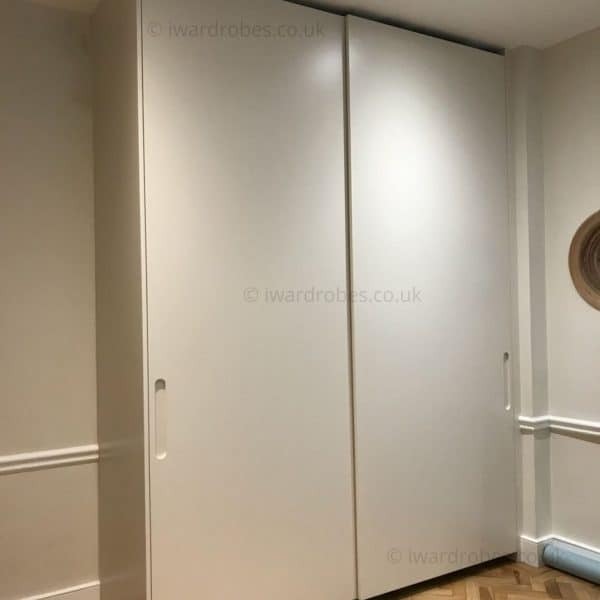 We believe that fitted wardrobe is one of the must have furniture pieces at any home, our team is always ready to help you to choose your own style, design, size and colour of the fitted wardrobe. 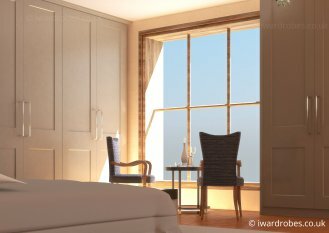 Also, we provide a wide range of fitted wardrobes for traditional bedroom range, contemporary bedrooms and modern bedrooms. 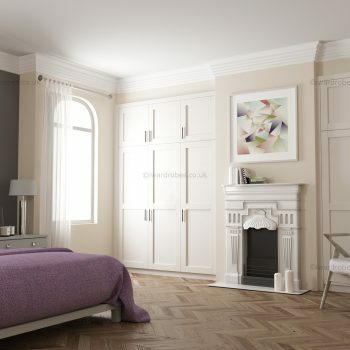 Therefore, our customers have a wide choice of ideas to choose from. 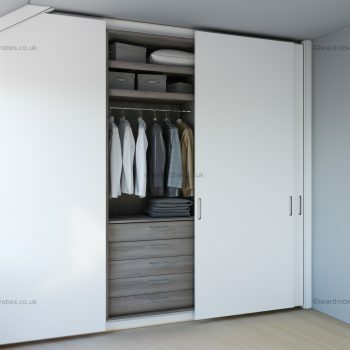 Our fitted wardrobes bring luxury and delightful design, so you can relish every minute you spend in your room. 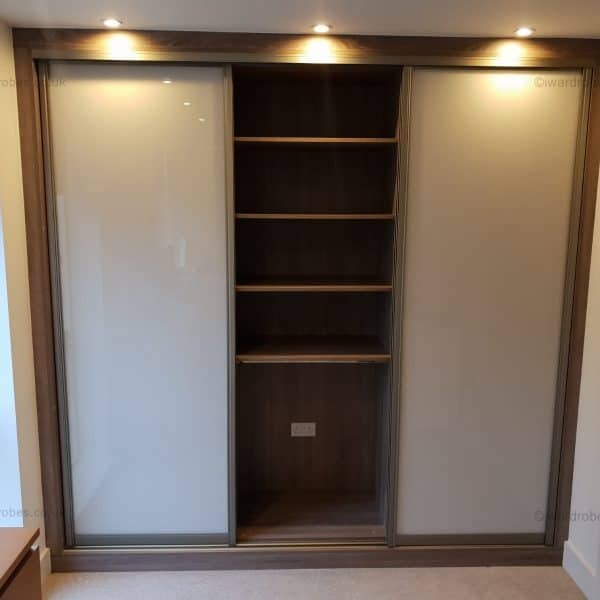 Our professional and experienced designers are happy to help you to create the bespoke fitted wardrobes of your dreams and we will deliver the product to your doorstep and install it, hence making the hardest step is to choose the material, colour and size of your bespoke fitted wardrobes.